Chicago boys YAWN are at it again with a trip-tastic new music video for my personal favorite off their 2011 album Open Season. 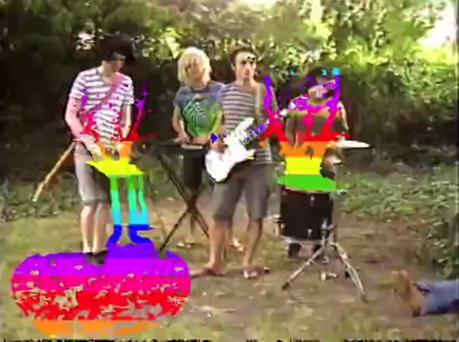 With their video for “Yum Yum”, the dudes follow many of the same themes presented in their past videos for “Kind of Guy” and “Open Season”. Long story short, it seems to be a visualization of an acid trip involving the woods, bloody eyes, dripping triangles, cats, and colorful splashes. A good time for sure. Watch below. For more videos like this, check out Druidbeat on YouTube.